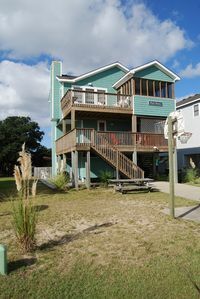 "Dolphin Watch" is located at Mile Post 3 3/4 just across the street from the beach with direct beach access. 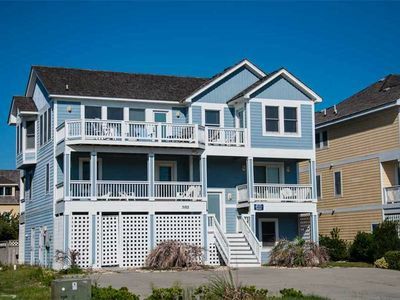 You'll have spectacular ocean views from the open sun deck with built in seating just off the living area (which faces the ocean) as well as the covered porch on the ocean side. 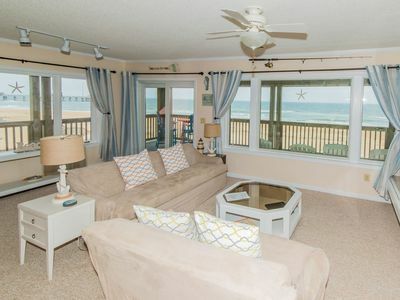 This beach cottage is nicely furnished and well equipped. 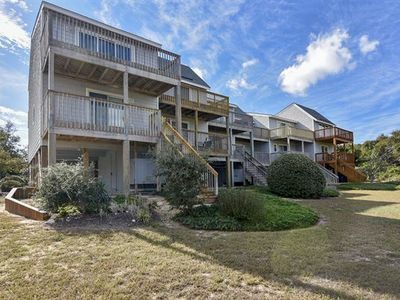 Ground Level: parking for 4 cars, basketball hoop, clothes line and enclosed outside shower. 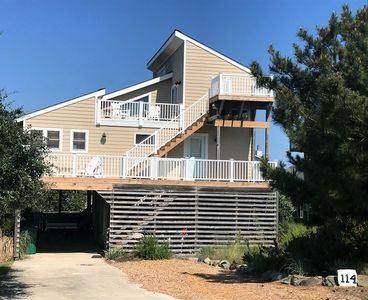 Mid Level: Entry level through covered deck with ocean views. 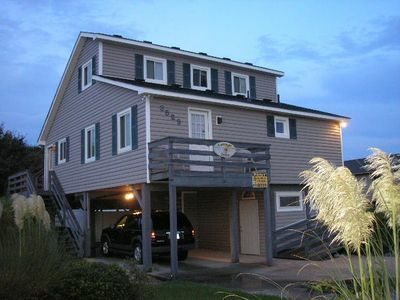 2 Queen Bedrooms, 2 Bedrooms each with 2 Single Beds and 2 full bathrooms. 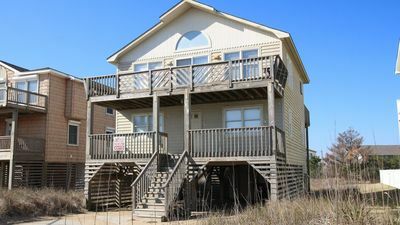 Top Level: Great room with TV/DVD, dining area seating 7, kitchen with counter seating for 3 and deck access and a large full bathroom with a Jacuzzi garden bath tub. 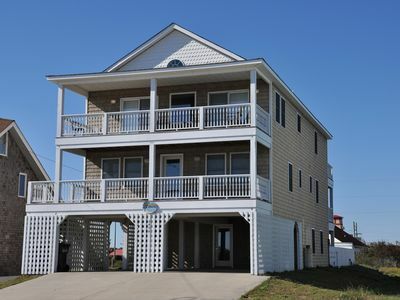 Extras: 3 TVs, DVD player, high-speed wireless internet, gas grill, sun decks, ceiling fans, parking for 4 cars, washer/dryer, enclosed outside shower and Jacuzzi garden tub. No Smoking. NO PETS. 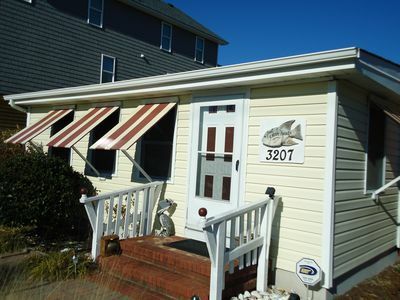 Distance to Beach: 30'.Beds: 2 Queens, 4 Singles. 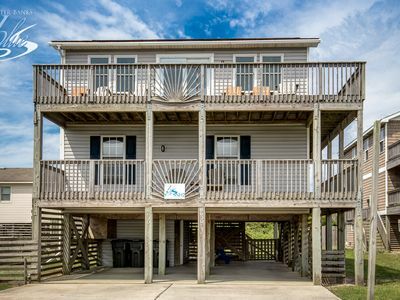 House Address: 4206 N Virginia Dare Trail, Kitty Hawk. Key Type: Hard Key (must pick up keys from check-in office). 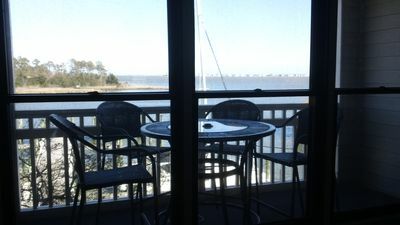 CHECK IN LOCATION: 3719 N. Croatan Hwy., Kitty Hawk Office. Linens and towels provided at no additional cost. 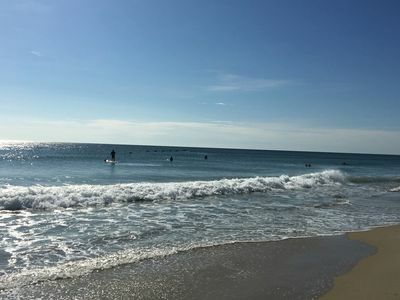 This home will provide sheets for all beds and the beds will be made with the exception of sleep sofas, top bunks and trundles in which case the sheets are provided. 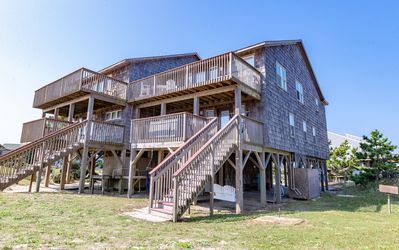 This home also provides 2 bath towels per person the house sleeps, 1 wash cloth per person, 2 hand towels per bathroom and a bath mat for each shower or tub. K2007 Tropix. 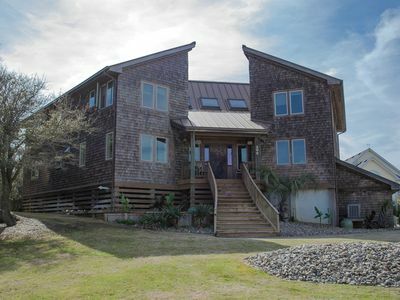 Upscale Home w/Exotic Furnishings, PETS OK, Events OK, Hot Tub! 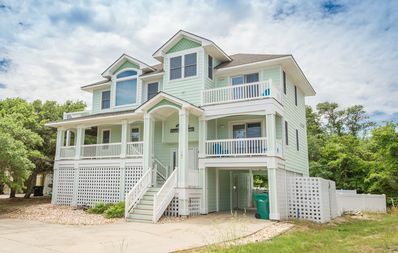 Vacation Home With Private Pool/hot Tub & In Law Suite. 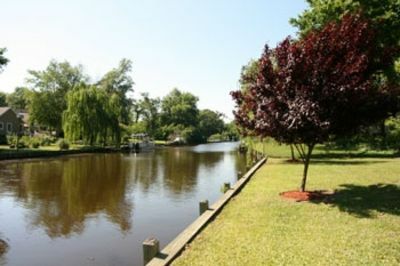 WATERFRONT Condo in Historic District Overlooks Manteo Harbor! D2905 Bright Dreams Ahead. 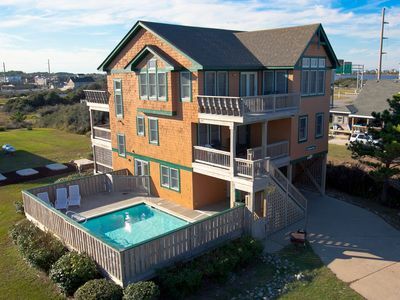 Breathtaking Beauty w/Pool & Spa, Linens, KEYLESS! 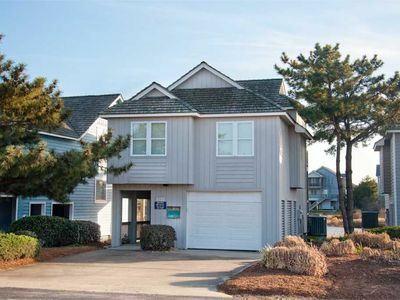 OCEANSIDE: Georgetown Sands Townhouse in Duck! 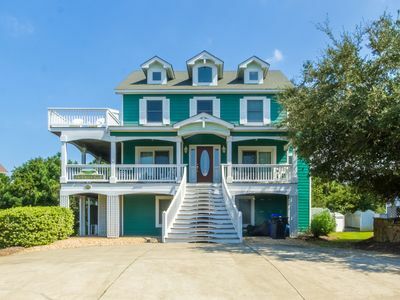 Beautiful NEWLY decorated in 2018! K1117 Sunrise Splendor. 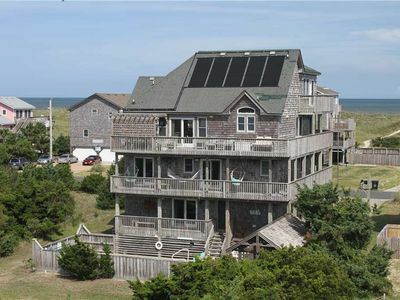 LUXURY Semi-Oceanfront, Pets, Hot Tub, Remodel! 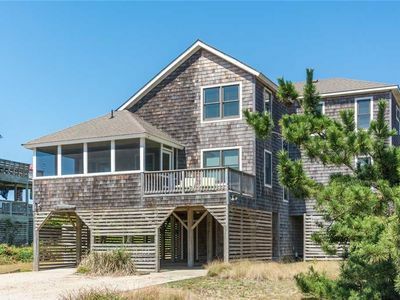 Serenity: Oceanfront in Sanderling, 4 bedrooms, community pool and tennis courts.